Volunteers will be assigned to residential homes to assist with cleanup (sanitizing), muckout (removing dirt, water, sewage, sand) and removal of damaged and contaminated household goods (including but not limited to furniture, clothing, appliances, drywall). Volunteers should be able to handle manual labor and be prepared to get dirty and ready to handle items that have come in contact with flood water, mold, and sewage. Long sleeves, work pants, boots and/or closed toe shoes, work gloves and safety glasses are required. Some organizations may provide gloves and glasses, but please bring your own if you are able. Also bring a change of clothes to go home in. Other items you might want to bring include: hand sanitizer or wipes, snacks, water bottle, sack lunch. Items usually provided but if you have please bring: hardhat, headlamp, face mask, tools. More details will be provided when you are assigned a specific location. Nechama will be leading a general muck out and cleanup effort of homes affected by the Aug. 11 floods. 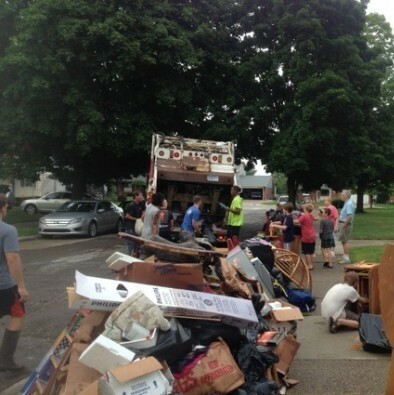 Log in to see who is volunteering for Detroit Area Flood Clean Up - Nechama!